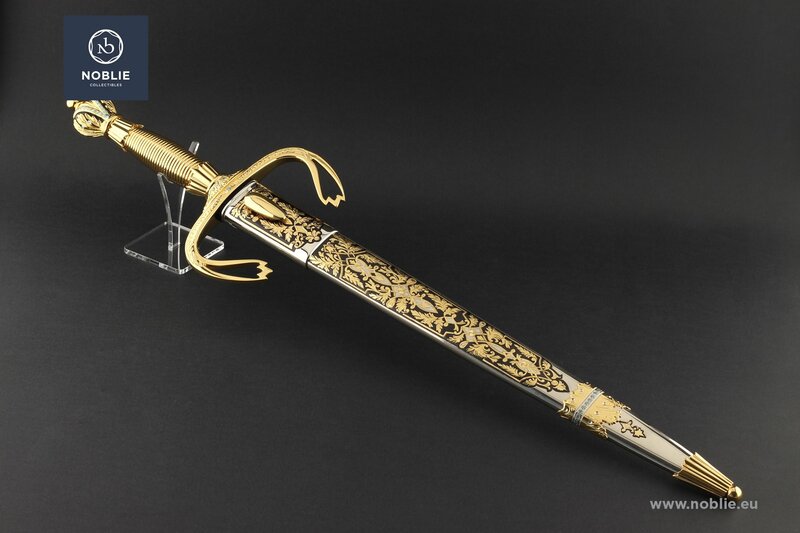 Аrtistically crafted weapon made in Italian renaissance sword style. 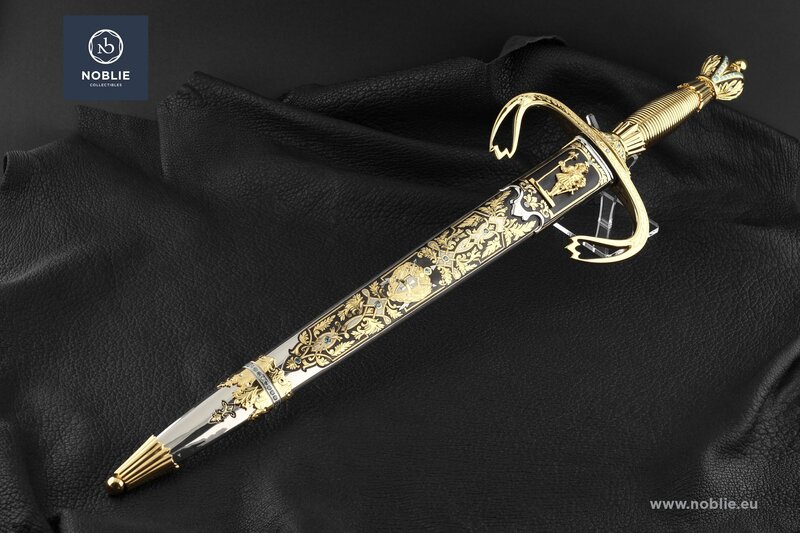 forging, etching, polishing, engraving, nickel plating, gold plating, blackening. 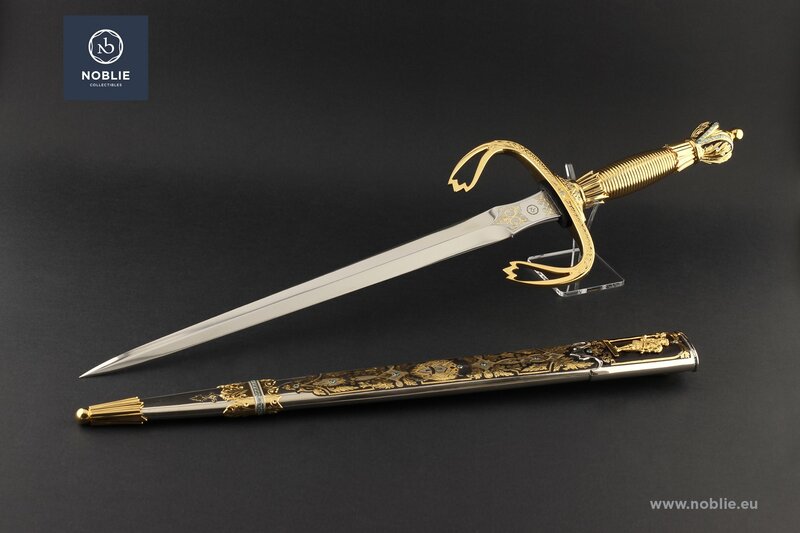 Blade of 440C stainless steel type with engraved and gilded ornamental decoration. Handle completely made of metal elements. Decorative ribbed rings of brass and then gold covered. Two figures, reminding a drapery of Italian doge palace put close to the guard and the pommel. Shaped as an Italian renaissance hat pommel with ball ending. 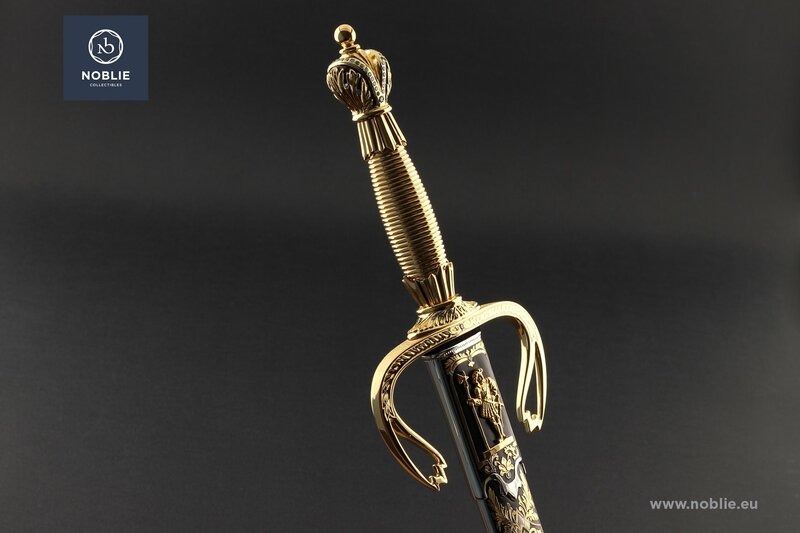 Gem inlay on the guard and the pommel. 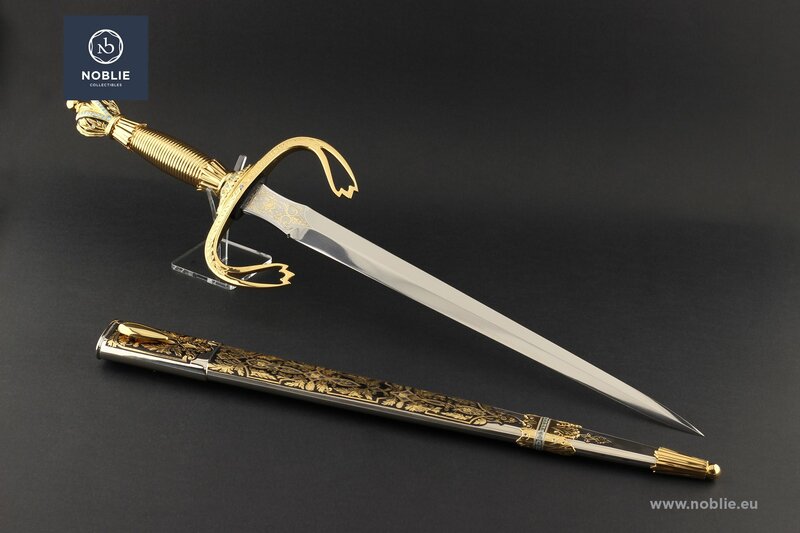 Downwards curved crossguard quillions in typical for the Italian Renaissance sword style. Scabbard is all-metal forged with decorative locket and chape. Brass casted and then gold coated figure of Italian Rnaissance soldier on guard embbeded on one side. Decorative hanger on the opposie side. Midway situated heraldic sign, composed of a shield with cross, two spears and two solemn wreaths sideways. A chape with brass carved and then gilded down faced figure of a crown. Drapery decorated with ball ending. 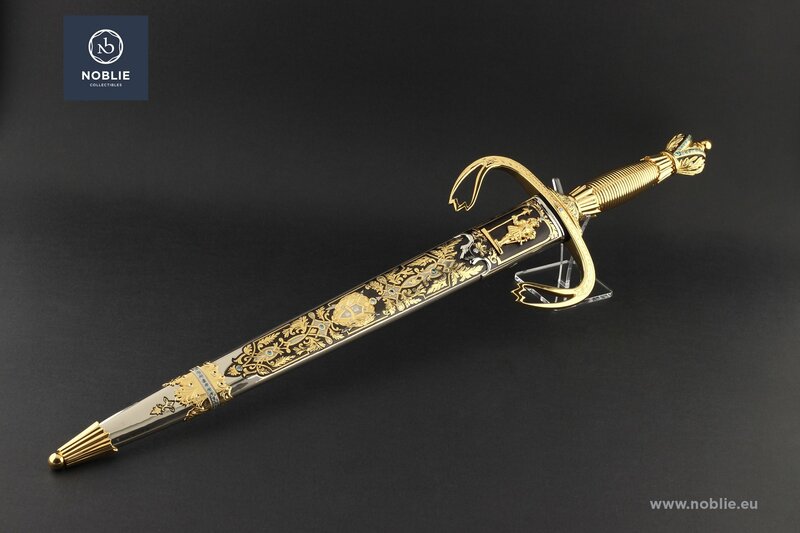 Additional decoration with ornamental egraving, gilding, blackenning and gems inlay. Dirk "Emperor and Autocrator. Alexander II"